1. Update 9.2.28 was released for Redmi 3S, Redmi Note 4 MTK, Redmi Note 3 Special Edition, Redmi 4X, Mi 5s, Mi Max, Mi Max Prime, Redmi 4A, Mi Max 2, Redmi Note 5A / Redmi Y1 Lite , Redmi Note 5A Prime / Redmi Y1, Mi 6, Mi MIX 2, Redmi S2 / Y2, Mi Note 2, Mi MIX, Mi MIX 2S, Mi Note 3, Mi 5s Plus. Please click here to download. 2. Update 9.2.28 for Redmi Note 4 Qualcomm / Redmi Note 4X (mido), Redmi 5 Plus is delayed due to system errors. 3. Update 9.3.1 was released for Redmi Note 5 / Pro, Poco F1, Mi 8, Redmi 6A, Redmi 6, Redmi 6 Pro India, Mi MIX3, Red mi 5A, Redmi 5, Mi 8 Pro, Redmi Note 6 Pro, Mi 8 Lite. Please click here to download. 4. Update 9.3.1 was released for Mi 9. [News] Xiaomi Launches Redmi Note 7/Note 7 Pro in India: 48MP Camera, SD 675 and More! [Tech Wednesday #132] The Penta-Camera Phone Is Here: Is It Worth The Hype? [How it Works #11] Why You Should Not Include These Features in MIUI! Optimized gaming experience: auto brightness, screenshot gestures, and Reading mode can be turned off automatically during games. Thanks You Developers for adding critical bug that you can't able to fix from 3-4 months. Redmi Note 4 Qualcomm suspended again. Last update was in December. It almost 3 month delayed due to error? What hapening for MIDO Dev?????? 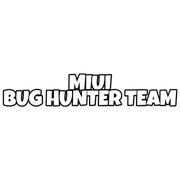 Kick this Developer Team and hire them from Unofficial MIUI ROM provider atleast they are capable to provide better update with better feature then your uneducated roadside hired Developers!!! Same BS about Note 4 update. Which change, from those pathetic "full changelogs" is causing "system error"??? Dear developers - telling the users " We are sorry, but this is EOL for this phone" is nothing bad. It is expected. But telling the same BS since November ( October?) is just pure lame and disrespectful. Update 9.2.28 for Redmi Note 4 Qualcomm / Redmi Note 4X (mido), is delayed due to system errors. FU MIUI developers. You dishonest bastards. You don't have the courage to explain what kind of errors RN4X is suffering.